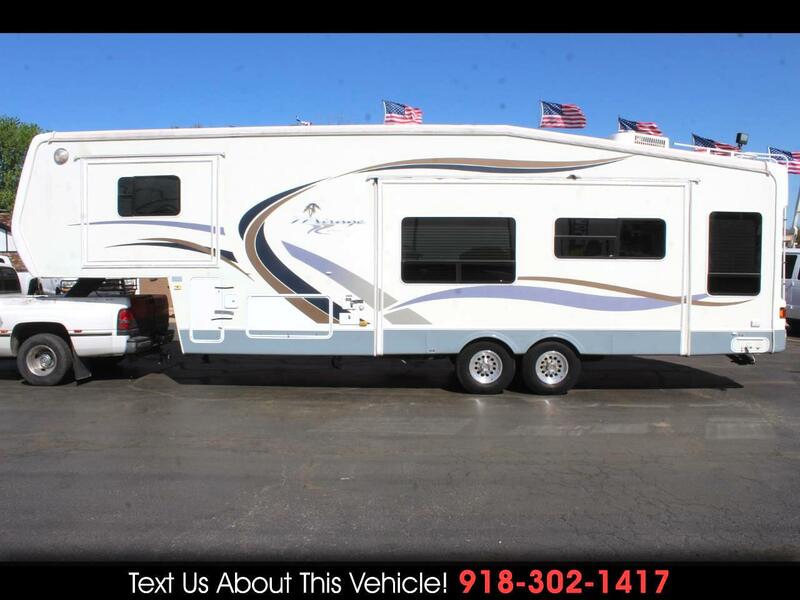 2001 Thor Mirage 3100RL Fifth Wheel, 35' Long, 8' Wide, Double Size Bed, Couch, 2 Chairs, 3 Burner Stove, Double Sink, Refrigerator, Microwave, Shower, Toilet and Sink, Overhead Storage, GVWR 13,230 LBS. For more information give us a Call at 918-371-8888 or send us a Text Message at 918-302-1417. Message: Thought you might be interested in this 2001 Thor Mirage.